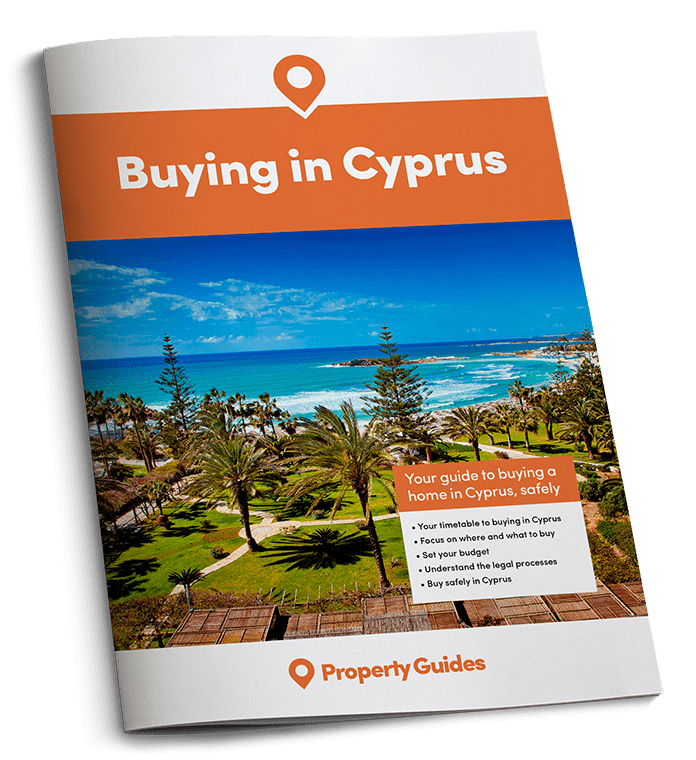 “We’re not tourists anymore – we live here!” It’s the first thing we all say when we move to Cyprus, determined to live like a local and take advantage of the lower living costs. So what does that mean in practical terms? For a start it means shopping like a local. 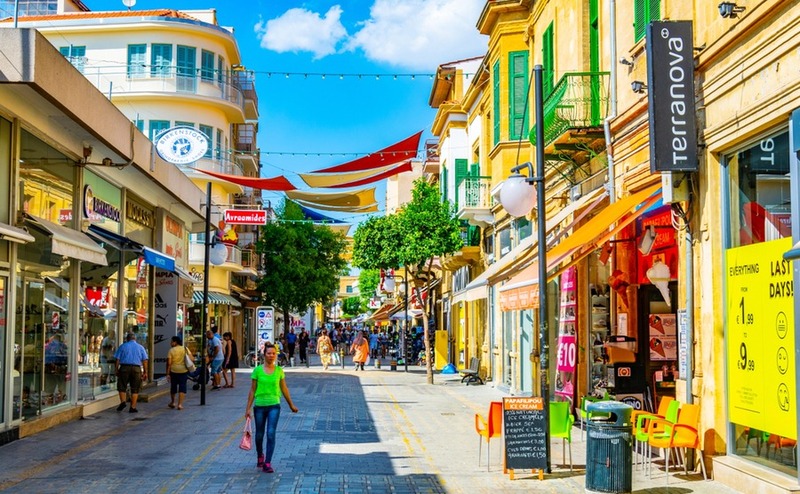 Here’s what you need to know about shopping in Cyprus. When I first came to Cyprus in 1994, Cyprus only had small boutique clothes shops that were very expensive. Grocery shops were small and dark, with a limited range of products. Shops have improved immeasurably since then, which makes settling in to Cyprus so much easier. So here’s a taster of where you’ll be shopping when you make the move here. Cyprus has its own supermarket chains, such as Alpha Mega, and recently Lidl stores have appeared in all the major towns. Alpha Mega is my favourite. It has all the foods that you can find in the UK alongside its Cypriot products, which really helps to feel at home. You could call this supermarket a mini department store, because it also sells hardware goods like small kitchen appliances with known makes, and personal care appliances like Braun, Molineux etc. Lidl has literally brought its own style of supermarket over here, with its cheap prices. It also sells clothes like it does in the UK. The very first ‘supermarket’ in terms of size was Debenhams. This was a brand new phenomenon for Cyprus because it not only sells clothes like the UK ones do, but also sells food products as well. Debenhams is also the only supermarket that has its own pharmacy inside. Standard opening times for all supermarkets are from 8.30am to 7pm. Do remember that shops close on Wednesday and Saturday afternoons. Some supermarkets are open on Sunday mornings now, but this is still under some dispute since the Church strongly disapproves. Prices are generally reasonable compared to the UK. Lidl tend to mimic their cheap UK prices. You will notice when you buy fresh meats and fruits and vegetables that they are priced according to the weight, not for the product itself. Personally, I do my grocery shopping at the Cypriot supermarkets. These are now much bigger, and also stock British products, but in a smaller range. So for everyday things like face creams and baked beans (and of course Cadbury’s chocolate, although to be honest I don’t miss hardly any products from the UK now). I can go to Alpha Mega or Lidl if I want. The sales are twice a year, and you will find that food prices are also discounted at that time too. Supermarkets are bright and air-conditioned now, and many have a café inside too. Get your free copy of the Emigration Guide to find out what you need to know about moving overseas. These are worth a mention because they became very popular, especially when the financial crisis hit Cyprus in 2013. They sell everyday dry products like cereals, and cleaning products at cheaper prices than in the supermarkets. You can find British products here too. Once family businesses that originated from the carpenter and builder trades, these have expanded over the years. You will now find large DIY and hardware stores that sell everything from a screw to planks of wood. Prices depend on the product and its weight. They are modeled on the likes of Wickes and B&Q, and many will also deliver to your home for nothing. There is one IKEA store in Nicosia, and it has exactly the same products as in the ones in the UK. There are only one or two stores that sell computers and technology products. These are Public in Limassol and Nicosia and Stefanis in Limassol. You will find technology products in the shops selling electrical goods like MegaElectric. Here there is a wide range of products, but technology products are generally expensive. There are no dedicated Apple Shops here yet. These stores deliver to your home as in the DIY/hardware stores. Along with the street kiosks, I would say that pharmacies in Cyprus rank as most in number, which is odd when you consider that the lifestyle here in Cyprus is already healthier! Anyway, it’s clearly a very profitable business here. They stock British medicines as well as those from Cyprus and Greece. Prices are generally high, because they’re partly government regulated. You need to know about their opening times. They open from 8am to 1pm and then from 3.30 pm to 7pm in the winter months, and from 8am to 1pm and then 4.30 to 7pm in the summer months. I like to see shops retaining the traditional ‘siesta’ or sleep period in the hot weather, although this is gradually dying out in other shops. Again, these have been modeled on those in the UK and Europe. These are great to wander around because this is where you will find most of the branded clothes shops like Top Shop, Mango etc. They sit next to famous coffee shop chains like Costa Coffee so you can have a welcome coffee break. 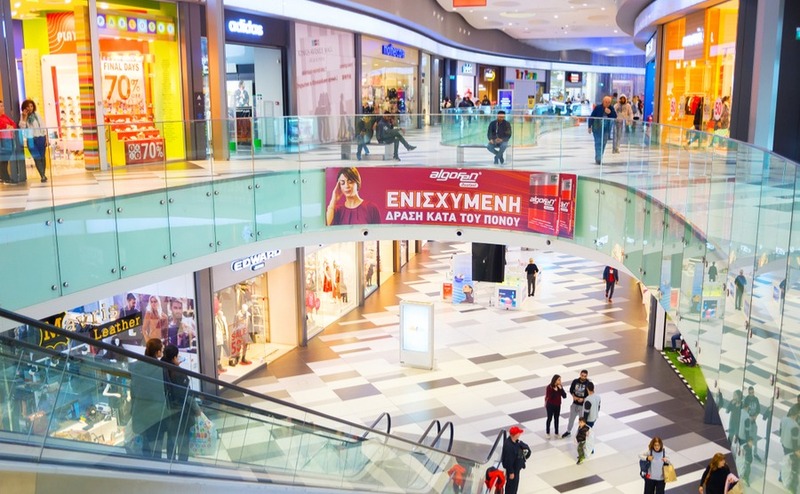 You will find a shopping mall in each of Limassol and Paphos, and one has just opened in Nicosia ready for you to explore. Often, there are activities to entertain the kids at these malls too. The shops in these malls are usually open on bank holidays (unlike the other shops elsewhere). If you want to order anything online, you can order it from Amazon or eBay and it will be delivered to your door via one of the many courier services here in Cyprus. Remember though that there are customs restrictions on some electrical goods brought into the country, and so these are not delivered here through Amazon or eBay. These are worth mentioning because they are my favourite shops here, mainly because of the quality of the gold. Usually the jewelry is hand-crafted by locals, which I like, but of course the prices are higher because of this fact. This is one thing that Cyprus does not have, unlike the U.K. There are markets but they are found in parking lots in the tourist area. The markets sell clothes at cheap prices, but I have to admit, they don’t match the traditional U.K markets, which I do miss. I think the Cypriots do not understand market selling! Thankfully, Cyprus isn’t a country where you have to haggle for everything. Except property, maybe! So to ensure you get a fair price, based on current market conditions, download our free guide, How to Negotiate Abroad. Another of my favourite shops, mainly because of the fresh smell and glorious colours of the fruits and vegetables. 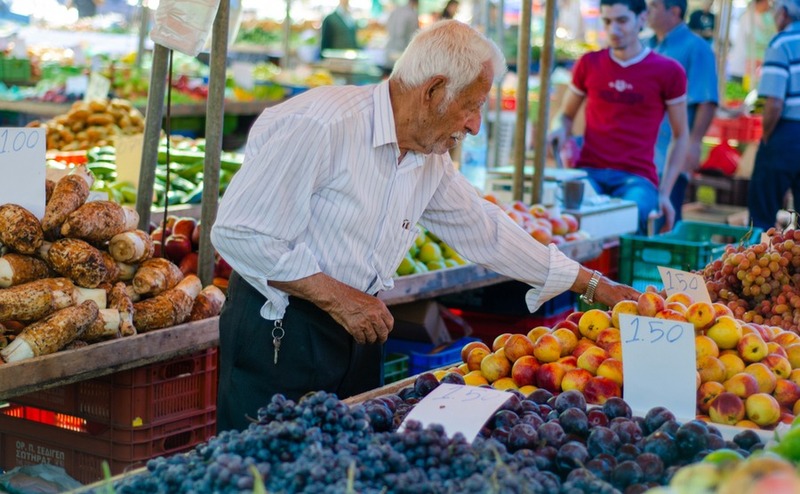 You can get all kinds of fruits and vegetables here, from the humble potato to exotic pineapple, and the freshness really encourages you to cook like a Cypriot. At one time these shops were the only places where you could buy fruits and vegetables, but now you can find equally good produce in the supermarkets. Prices are good but go up on occasions like Green Monday, when fruits and vegetables are particularly in demand. A new shop development in Cyprus is a sprinkling of Syrian, Russian and Romanian grocery shops. You can find these in all the main towns, although they are in the minority. So, as you can see, shopping is still a pleasure when you come to Cyprus. It has improved so much over the years. I have to say that now, I don’t miss any of my favourite UK products because they are all here – even good old Marmite!